AIRSENSE Analytics produces portable gas-detection systems, gas sensor systems and accessories for on-site sampling in order to protect personnel and the environment from chemical threats and hazardous agents. When an accident has caused chemical compounds to be released, fire brigade and rescue services have to be able to assess the hazardous liquids and gases instantly. AIRSENSE Analytics’ product line can supply a complete package for these responders to manage the situation. AIRSENSE Analytics’ gas-detection systems have been field-tested worldwide by civil defense organizations such as fire brigades, police forces, armed forces and ground forces, and successfully provided civil defense, army defense and military defense. Real-time detection and identification of chemical warfare agents, toxic industrial gases and explosives with the hand-held, multi-sensor GDA2. AIRSENSE Analytics has designed in cooperation with first response teams a portable hazardous Gas Detector Array (GDA2) for the detection and the identification of CWAs like nerve, blister, blood and choking agents and a broad range of TICs (ETW, AEGL, ERPG, ITF-25 list, etc.). By using four different sensor-technologies like a Photo Ionization Detector (PID), an Ion Mobility Spectrometer (IMS), two semiconductor gas sensors and an electrochemical cell, simultaneously the GDA2 reduces false positives and achieves greatly extended far-superior coverage of hazardous volatiles with more accuracy than single-detection technology. The released gases and CWAs can be detected within seconds with detection limits from low ppb to high ppm concentration. This is not just a collection of detectors – the systems work together to cover each technology field’s weakness, but added to this is a wide range of agents and data fusion to provide accurate alarms. The coverage is very broad. The first part of the system is not very specific – it is an alarm to indicate something is there. Beyond that there is the identification, and that runs off a library. The GDA2 holds up to three different libraries each are customized and comprising up to 256 compounds. The GDA2 will deliver with the Standard library of 33 TICs and 9 CWAs. We can offer varied libraries, including mixes of compounds – if it is a chemical company, for example, then we can tune the library to their needs. The second issue is that the device has more information about the compounds by having very good diagnosis and information on the compound. All the detectors have been designed to operate at a higher standard than most other single detectors. The first target of the GDA2 is safety: the user is warned whenever dangerous compounds are present – although compounds may not be contained in one of the instruments three internal libraries. 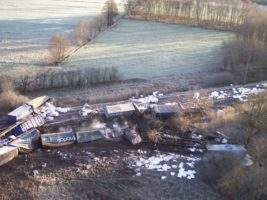 The GDA is now also able to send the dates via wireless connection to a central station for analysing. A lot of new industrial applications can now be performed with the GDA2. It can also have an infra-red heater for thermal desorption and surface analysis as an optional area. 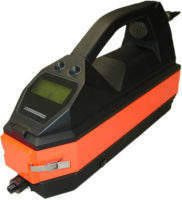 The GDA2 is the most enhanced chemical detector currently available. It is used by various first responder teams in chemical plants, semiconductor industry, fire brigades, military, airports and police worldwide. 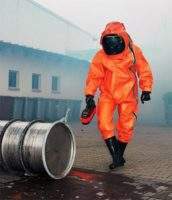 After large accidents, fires, or terrorist attacks involving the release of hazardous agents and chemicals modern analytical chemical-detection techniques must be brought into action on-site as soon as possible. The AIRSENSE Analytics chemical-detection sampling kit is specially designed for the sampling and preparation of samples for the evaluation of accidents involving the release of organic chemicals and toxic industrial compounds. 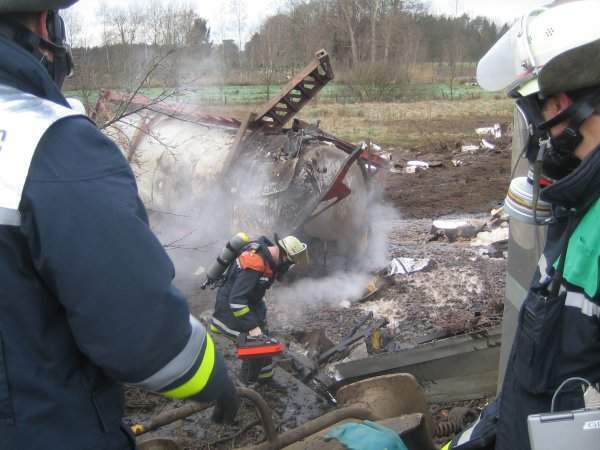 Fire brigades, armed forces, ground forces and other emergency services responsible for restoring safety after such accidents can use the chemical-detection sampling kit to extract samples for subsequent analysis by GC / MS. 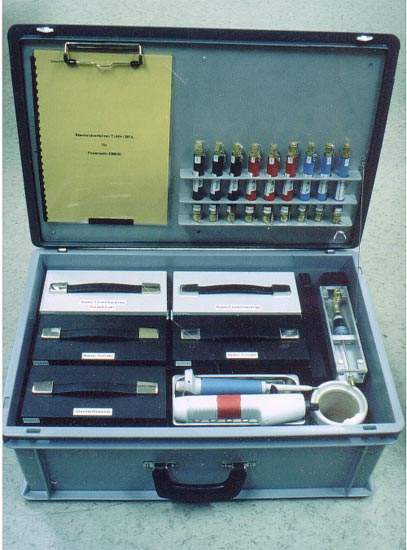 The sampling kit can be used in two ways, depending on the specific situation in which it is required. For operation with gaseous samples, different adsorbents from which the compounds can be released by heating and thus analyzed by GC / MS can be used. Less volatile compounds can be extracted with specific solvents and their corresponding tools. This year at the Interschutz in Hanover in June, Airsense presented a brand new exhibition stand and innovative products. The standard gas detector array (GDA), commonly used to detect and identify hazardous gaseous compounds, has been improved to allow the detection of explosives. AIRSENSE Analytics is going to visit the trade show INTERSCHUTZ in Hanover with a new development called GDA-P.